Shipping and receiving docks both suffer similar problems which are producing a quarter of all warehouse injuries. Loading docks can get very busy, and when people are pressed for time, they become careless making the area a dangerous place to work. Traffic around the loading dock. A dock area is a hectic part of the warehouse, with foot and vehicle traffic constantly moving in and out. Any type of communication may be difficult. Some accidents that can happen in a hectic loading are collisions between forklifts, workers on foot, and trailers causing severe damage to personnel, equipment, goods and even the building itself. When a forklift is running, the operator needs to be wearing a seatbelt. Forklift operators should be fully trained and certified. It is also imperative to have a routine maintenance of forklifts. Heavy items sometimes shift during transit and pose a serious threat to workers when opening trailer doors making loading and unloading goods in raised loading bays dangerous. Reliable dock levellers are important for transporting goods between levels smoothly and safely, and these should be well maintained and refrained from being used if damaged. Slips and falls are the most common type of dockworker injury. Water poses a serious risk to anyone in the area especially for workers carrying heavy equipment. They can slip and fall, causing damage not only to the items they were carrying but also to the workers themselves. 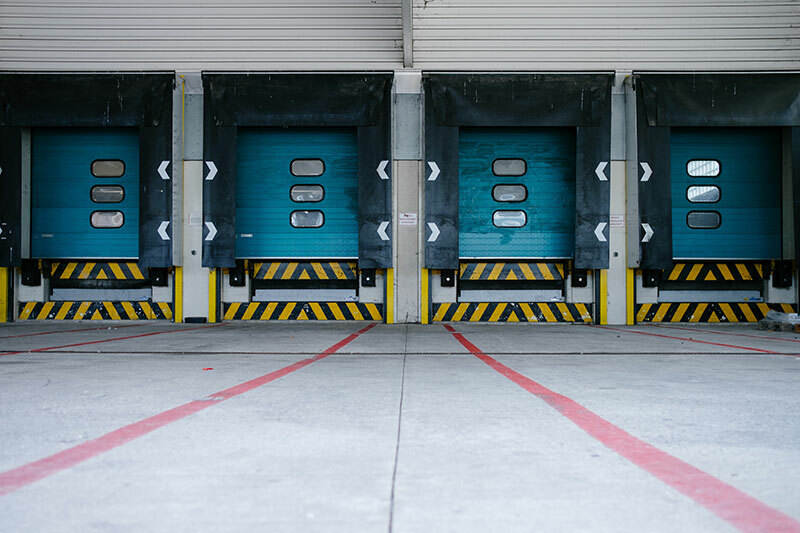 Make sure to always keep the loading dock clear of anything that employees or forklifts may run into. Improper service and lack of maintenance. Having a reliable and reputable company that is properly trained to maintain your equipment decreases the chances of an accident occurring around docking areas. Periodically have all of your equipment inspected on a schedule that suits your usage and demands. TPS Gates & Doors is a family run business that has been specialising in gates and automation for over 20 years. Our team of experienced engineers offer the best in after sales service with fully equipped vehicles covering the areas in which we install. Call us now on 01594 840408 or visit TPS Gates & Doors for more information.